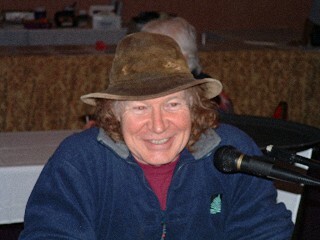 In 2006, the story of an ET transfer surfaced, generally known as the Serpo story - In this UFO Files Sightings Show, now-retired producer, Larry Dicken, talks with host Jerry Pippin about the facts and the fiction of Serpo. CLICK HERE for this discussion. No more mission log entries, the validity of which was often questioned by many researchers, lay critics and us. Although lacking in specifics in many areas, the latest releases from anonymous sources are a catch all of some important details about Project Crystal Knight (Serpo) and many associated USG projects. Revealed in the report is such important information as: who participated, application of acquired technology, and surprisingly, the specific arrival date and location of the next Serponian mission to Earth. Is this mission going to precipitate official world-wide disclosure of the reality of ETs and UFO's, or will it be another secret rendezvous in the desert with members of the "Shadow Government." Stay tuned. Coverage begins now. Where it will take us no one knows. What do you think? Let us know. Email us at jerry@jerrypippin.com. 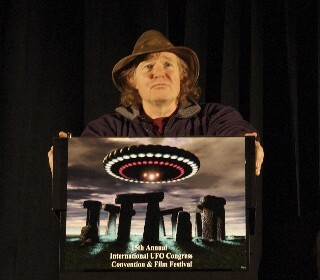 This program, recorded during the 2006 International UFO Congress Conference held in Laughlin, Nevada during the week ending March 4th, is dedicated to the story of the ETs of Serpo and their personnel exchange program with the United States Government. It reveals a chilling, dark side of this ET race. Guest Bill Ryan, developer of the Serpo web site (see link below) reveals to Jerry, for the first time on public record, how he receives the dispatches of the original US Military Exchange Team mission log from his source named "Anonymous." Ryan also faces tough questioning by Jerry about the validity of this information. and how might it affect Planet Earth? Listen to Part 1 and learn. Listen to Part 2 and learn. In the following interview (media player below), Jerry talks with Bill Ryan, who less that two months ago, knew nothing about a remarkable, above top secret US government project, code named Serpo. Coincidentally, he was on an e-mail mailing list that had several Defense Department Officials, Black Project Managers and UFO Researchers which received a dispatch from "Anonymous". 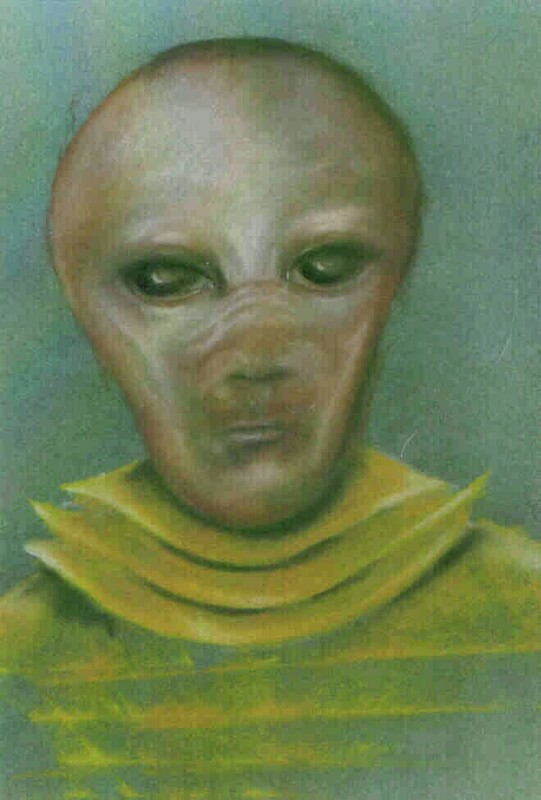 This undisclosed person, who is still active in UFO related secret projects, wrote about the gradual release of confidential documents pertaining to a top secret exchange program between the Ebens, Extraterrestrial Entities (ETEs) from the planet Serpo, located in the Zeta Retuiculi star system and shown in the star catalogue image at left, which is some 39 light years from Earth. Several Ebens and twelve US military personnel were involved in an exchange program between Earth and Serpo, between the years 1965-78. At the request of the recipient of this information, Victor Martinez, Ryan quickly set up a public service based website, www.serpo.org, to disseminate already provided and promised information, including photos of human beings associating with the inhabitants of the Planet Serpo. In a wide ranging discussion, Ryan tells Jerry about the climate, flora and animals of this planet, as well as the history, culture and lifestyles of the intelligent beings, the Ebens, living on the planet. Details never before revealed will astound you, the listener, with vivid descriptions given of encounters between American military personnel and the Ebens on their current home planet. 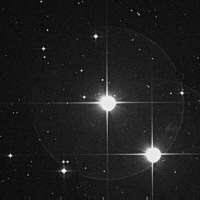 for more interesting speculation about ETs and the Zeta Reticuli star system. 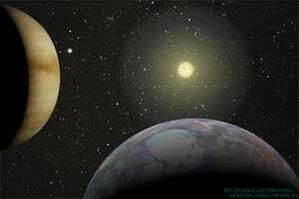 Did we already discover a planet orbiting Zeta Reticuli 2 in 1996? 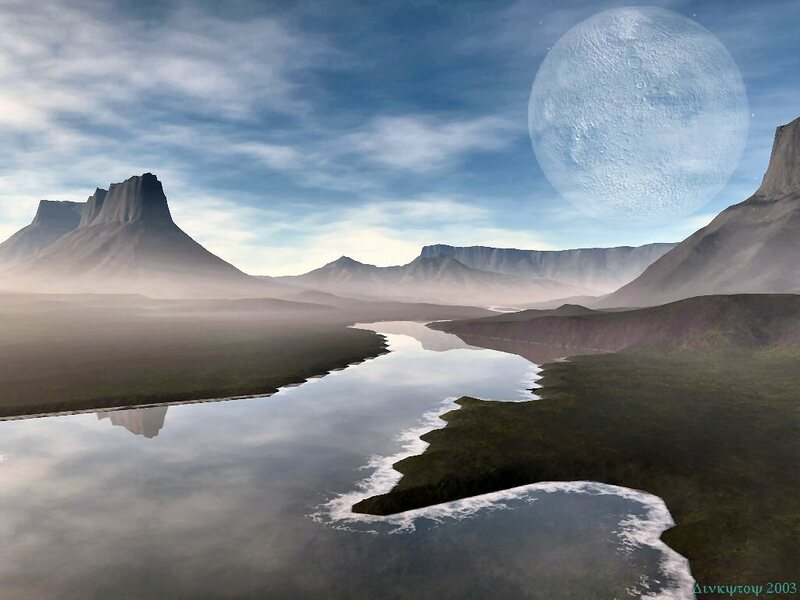 Learn about the science and speculation concerning the possible existence of extraterrestrial Earth-like planets and other civilizations relatively close to our solar system. The Zeta Reticuli System, at 39 light years in distance, lies further away than the stars on this list, but it is on the list for surveillance by the upcoming NASA extra-solar planet finder mission. 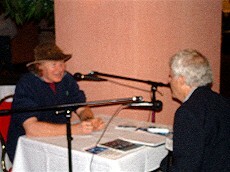 with Bill Ryan conducted in March 2006.
and discuss the issues with Bill Ryan. October 21, 2006: News on Message 19 from Anonymous. The latest message is quite different from prior messages., and contains specific technical information on ET technology. Two other updates from other sources, which support the validity of the Serpo story but are not communications from Anonymous are contained in Messages 20 and 21, which closely followed Message 19.
to begin reading with Message 19. "Project SERPO" UPDATE: Midnight, Eastern time, March 17, 2006 – Reliable sources have confirmed to us that the original ANONYMOUS ceased postings on "Project SERPO" on December 21, 2005. These reports originated from a highly-placed source identified by our source, but not named for public consumption. This source was highly-placed in a secret government operation and had access to audio tapes of the original narratives by the returning "Project SERPO" exchange crew who were debriefed in both audio and written form; the written form comprises the 3,000-page "Project SERPO" report. For unknown reasons, this source stopped providing Victor Martinez information. Bill Ryan, was then contacted by other anonymous sources none of whom have anything to do with the original one. We believe upon information from trusted, but unidentified sources that this anonymous is actually a composite of three (3) people. These individuals were trained as part of the final pool of 16 for the original '65 "Project SERPO" mission, but did not go -- as they were alternates for the final 12 -- and their information to Ryan is based upon conversations with the other crew members who did return to Earth in '78. The returning Team Members subsequently died of illnesses believed to have been caused by the excess radiation from the dual suns of the Zeta Reticuli planetary system where SERPO was the fourth planet. Information has been received indicating some confirmations of the SERPO story came from top administrators in government departments charged with protecting official secrets, a name we would all recognize, but can't divulge because of promises to sources. It is expected that these three living witnesses -- who trained with the other 12 -- will be issuing further information to Ryan and his www.serpo.org Web site. 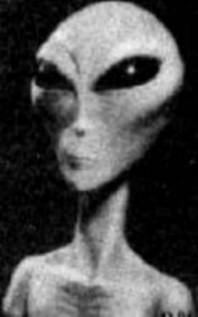 A producer for the Jerry Pippin show is currently in third party talks exploring the possibility of an interview with one of these three witnesses who underwent the same rigorous training for the mission, but was not chosen to be one of the 12 human-ET exchange program Team Members. written by Victor Martinez and Richard Doty, on Project Serpo. to read the 4/8/06 article by author and journalist, Steve Hammons, on the possible implications of the Project Serpo disclosure. what agendas may lie behind the Serpo story. This article was submitted by G.L., author of Alien Mind - a Primer. sent by "Anonymous" to Victor Martinez. VICTOR: Here is the explanation of the Alien Drawing or 'Eben Objects' as referred to on the www.serpo.org Web site posted by Bill [Ryan]. A great deal of planning went into the 10-year mission to SERPO [turned into 13 years]. Several teams of officials planned what equipment to take. These officials tried to imagine every conceivable situation where certain types of tools and other equipment might be needed. One area was capturing the view and makeup of objects, artifacts and landscapes on Planet SERPO. The Mission Team took cameras, 16 (sixteen) different types of cameras and drawing/drafting equipment. Although no Team Member was trained in drafting, three (3) Team Members had drawing experience from their college days. Several different types of drafting templates were taken on the trip. The planning officials tried to envision every type of situation where a template might be needed. The drawing ['Eben Object'], made by the Team Commander, depicts the base of the sundial [used globally by the Ebens on SERPO]. Each object meant a certain time of day to the Ebens. When the sun was directed -- through the sundial -- onto the object at the base of the sundial, that meant a specific task [or change of] to the Ebens. For example, it might signal a change in work schedules, a time to rest, a time to eat, a time to celebrate, etc. After a few years, the Team learned each symbol and learned the meaning of each symbol. This drawing is a copy of the actual drawing made by the Team Commander in 1967. The Team also took many photographs of the sundial symbols. I know our detractors and skeptics will still harbor doubts about our message and incredible mission, but this will have to suffice for now short of the actual photographs which the debunkers would still find problems with. Glad to be in touch with you and I'll be in contact again soon. Many greetings to everyone. I have just updated the Serpo website: http://www.serpo.org. http://www.serpo.org/release18.asp. The information posted has been formally sanctioned by the group who is orchestrating the gradual disclosure. The public can make their own decision on the credibility of the material, all in the fullness of time, as more and more material is released. This is unconnected with Serpo, but may still be of considerable interest, and was received by e-mail from an ex-intelligence officer whose name is known to me. Both images are also attached here. 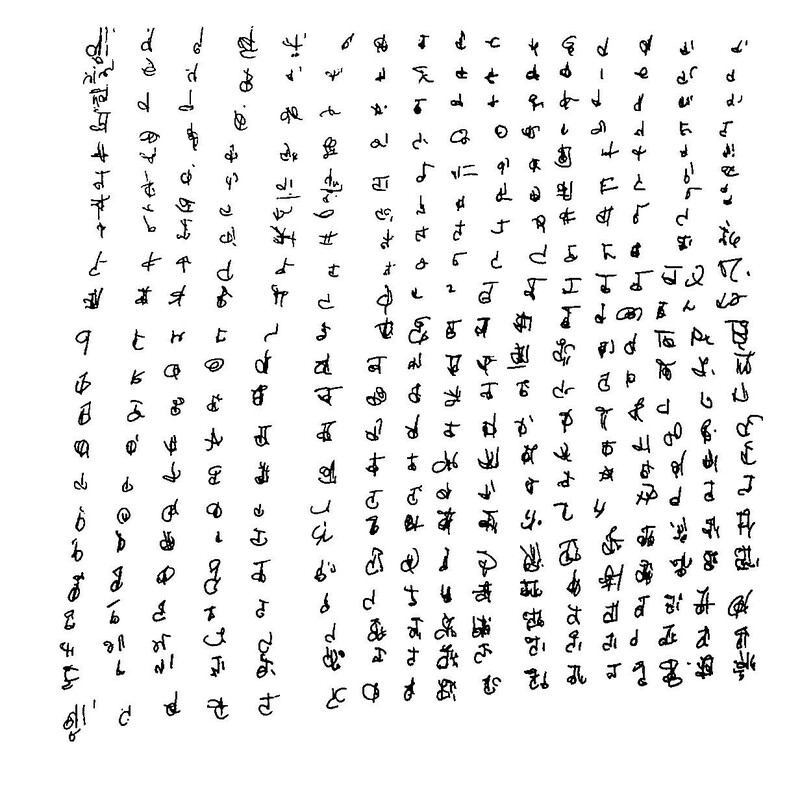 Neither the script nor the EBE-1 image has been analyzed, and I offer them for your interest without further comment. Please note that new website is being designed and will be launched quite shortly. There’ll be some new material, but all the current information will be there in an easily accessible archive. Do stay tuned. I’m looking forward very much to all your comments and observations. I found this intriguing, lucid and intelligent post on the Above Top Secret Forum (this page: http://www.abovetopsecret.com/forum/viewthread.php?tid=185069&page=12) and is worth reading carefully in its entirety. The writer posts under the moniker “Centrist” and is a patent attorney by profession. He also holds a Master's Degree in Chemical Engineering from Rensselar Polytechnic Institute. He can be contacted at waynej@speakerbuilder.net and I’ve included him on the cc list of this message. It's very easy to get caught in the allure of these stories. They're interesting, sometimes well-crafted, and (most of all) I think that many of us want to believe that they're true. This case is particularly compelling because, even if it is a hoax, it is well-planned in that it pulls together elements from other stories quite well and makes it all fit together like a nice puzzle. For example, the detail about the SOM-1.01 being an annex to the "Red Book" makes you believe that this "Red Book" exists and may actually be in Anon's possession, given that various Ufologists believe that the SOM is authentic. A little known fact is that in October 2000, it was five-years from the effective date of http://www.dtic.mil/whs/directives/corres/pdf/52001ph1_0500/p5200ph1.pdf Executive Order 12958 (begins on page 19 of the linked file) -- signed by Bill Clinton and mandating the automatic declassification of all government documents over 25 years old UNLESS the agency which classified the document asserts that certain documents are exempt from disclosure. President Clinton signed EO 12958 on April 17, 1995. The effective date of the Order was set to be 180 days from the date which he issued the order. That means that certain documents were declassified, by Presidential proclamation, early in October, 2000. Thereafter, many documents because declassified by proclamation on the 25th anniversary of their classification. Of course, during that 180 days between the signing of the order and its effective date, each agency head was supposed to inform the president's office of any exempted file "series". This is done through the Assistant to the President for National Security Affairs. Interestingly, it was Eisenhower (who was President at the time much of Project Serpo is alleged to have occurred) that created this position. http://www.whitehouse.gov/nsc/hadleybio.html Stephen J. Hadley now serves in that capacity for President Bush, taking over for Condoleeza Rice earlier this year. Ok, so what you ask? I'm glad you asked! "Project SERPO's" final report was written in 1980 http://www.serpo.org/release5.asp. So... just this year, the Project Serpo documents, if true as alleged, turned 25 years old and became the subject of automatic declassification. In other words, unless the Head of the DIA (the presumed holder of these documents) has identified the Project Serpo files (assuming they exist) as being exempt from declassification, then they have already been automatically declassified. Now, here's where we get to the very interesting part. First, lets assume that the DIA exempted all of their UFO/EBE/ET related information from declassification. Most likely, Condoleeza Rice, the predecessor to Stephen Hadley as the head of the NSC, would have signed-off on this, most likely without ever knowing what she signed off on. Then again, maybe not. "Rice was plucked from academia in 1989 by Brent Scowcroft to serve on the National Security Council of former President Bush" -- http://archives.cnn.com/2000/ALLPOLITICS/stories/12/17/rice.profile.ap. More on why this is relevant later. Stephen Hadley, however, is also an interesting character. First of all, he's a career intelligence officer going back to the Ford Administration (I included a link to his bio so you would read it, so you should have known this already;)). Also, Hadley worked for Scowcroft's firm in D.C. for a few years and http://www.fas.org/irp/offdocs/NSChistory.htm#Ford Scowcroft was the National Security Advisor to President Ford and seems to have had a hand in selecting members of the NSC for later Presidents (such has his selection of Condi Rice). Not surprisingly, General Scowcroft http://www.drboylan.com/aviary2.html is often mentioned as the present likely head of MJ-12 or its successor, PI-40. What if General Scowcroft, being of aging years and perhaps not seeing the harm in the truth being known, has decided to pledge his full "I won't interfere" (as much cooperation as you could expect) to these people because he knows them and knows that it's very likely that if the NSC fights them, this will get very public, very fast. This administration does NOT need another scandal. But more on this aspect later, too. Ok, so what is it that makes me believe that the same old cast of characters is any more likely to permit disclosure now than at any other time in the past? Well, when I came across the following, it got me thinking. Sec. 3.1. Definitions. For purposes of this order: (a) "Declassification" means the authorized change in the status of information from classified information to unclassified information. Now, let’s refer back to what Anon has told us -- that he is part of a group of former DIA officers. That they are in possession of the debriefing manual ("Red Book") from a classified government project. And that Project was formally closed 25 years ago. Let’s take this one step further. Let’s guess that at least one member of Anon's group is lawfully in possession of this material, because he was the officer that originally classified the Project. If that's the case, then this person has the authority under EO 12958 to declassify the information. That would be consistent with Anon's statement that they are trying to release the information with official "sanction". This may also mean that they are in contact with their successors (people they probably trained or selected for their jobs) and those people have agreed not to attempt to pursue the exemption of this material, provided that it is properly purged of material which, genuinely, should remain classified. (a) military plans, weapons systems, or operations; (b) foreign government information; (c) intelligence activities (including special activities), intelligence sources or methods, or cryptology; (d) foreign relations or foreign activities of the United States, including confidential sources; (e) scientific, technological, or economic matters relating to the national security; (f) United States Government programs for safeguarding nuclear materials or facilities; or (g) vulnerabilities or capabilities of systems, installations, projects or plans relating to the national security. -- Anon's group has banded together for security. One old guy can be easily explained away when he passes on in his sleep. But six, or more, old guys who have banded together and are keeping records of their discussions? They've made some of these discussions public? AND they can at least make the case that they have some authority to contest the continued classification of this material? That might be harder. -- I also suggest that these people were, in fact, highly placed DIA officers. So well connected were they that they were entrusted with stewardship of this highly-secret information. Respect and connection of this level would dictate that the current administration would find it very difficult and highly embarrassing if anything untowardly came of these people. In fact, many of the aging leaders of the military and intelligence communities would probably be more likely to "rat out" the administration than their old colleague. -- From the "PR” side, these guys are probably savvy and told their predecessors that this can be done in a way that 1) there's no scandal for this administration (although that pesky democratic administration that ordered the cover-up may leave a black mark on the democratic party! Ha! ); and, lets face it, "W" will go along with any plan that gets his fanny off the fire for Iraq, Katrina, Scooter Libby, and whatever else he's porked up lately. Yes... this is "thin". Anorexic, perhaps? I know. But look carefully at the facts, the law, and the dates. It all comes together with many exciting consistencies. The only thing we need now is the proof.